Michael Gosselin joined the CHA team in January 2017 as the Executive Vice President of Real Estate Management. As the Executive Vice President of Real Estate Management, he is responsible for directing and executing CHA’s management business plans, administration and supervision of departments, programs, and projects with a focus on strategic planning and long-term sustainability. Michael has more than 20 years of experience in the private sector of affordable housing managing a wide diversity of affordable and market programs. Prior to joining CHA, he worked as a Regional Manager for Massachusetts for Related Affordable Management overseeing all financial and administrative operations of affordable properties in the State. Michael helped develop a newly-created asset management department while serving as an asset manager for Winn Management in Boston. Prior to that, he was a Regional Director for a Los Angeles-based management company overseeing the operations for properties in multiple states throughout the southeast. He received his B.S from Northeastern University in criminal justice and private security law and his MBA with a focus in Financing from Grand Canyon University. 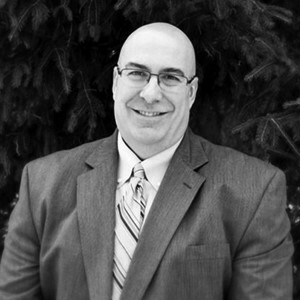 Michael earned his CPM and C3P designations and is a member of IREM. Michael is a U.S Navy veteran and worked for Naval Intelligence in the European and Middle-Eastern theatre while serving in Desert Storm. Michael is a Massachusetts native where he has spent most of his life.